Maputo — Gunshots rang out in the town of Palma, in the northern Mozambican province of Cabo Delgado on Monday morning, as the defence and security forces tried to disperse a demonstration calling for the suspension of the natural gas projects in the district. According to a report in the independent newssheet "Carta de Mocambique", the demonstration began on Sunday afternoon, when around 200 people gathered in the centre of the town. 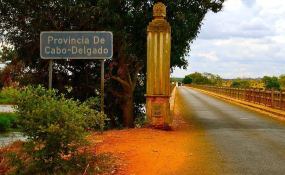 They were protesting against the armed attacks in the northern districts of Cabo Delgado, and argued that the natural gas projects should be suspended until the situation is normalised. The claimed that the authorities have shown no capacity to halt the attacks by insurgents, who are believed to be islamic fundamentalists. They are known locally as "Al Shabaab", although they seem to have no direct connection with the Somali terrorist group of that name. Apparently the target of the demonstrators' message was the new Palma district administrator, Valigy Tuaubo, but he was not in the town. The demonstration continued into the night, and at around midnight shots were fired. Sources in Palma told "Carta de Mocambique" that soldiers had opened fire in an attempt to disperse the protestors. After a night of uneasy calm, shooting resumed at around 07.00 on Monday morning. According to local residents, most people stayed off the streets. "Everybody's at home", one informal trader, Rajabo Issufo, told the paper. The immediate motive for the demonstration was an attack at about midday on Sunday against a 15 seater minibus on the road between Olumbi and Muti, which is about 15 kilometres from Palma town. The terrorists murdered 15 people in this attack. Some died on the spot, and some in a health unit in Palma town. The vehicle was set on fire. The dead included residents of the town. This was the second attack against a passenger transport vehicle in two weeks. The Afungi Peninsula in Palma is where the consortium led by the US company Anadarko Petroleum intends to build two factories producing Liquefied Natural Gas (LNG). Anadarko's final investment decision is expected sometime in the first half of this year. The enormous revenues from LNG could transform the Mozambican economy, and the shadowy forces behind the islamist insurgency seem determined to stop that.